ATLANTA — Trayveon Williams burst onto the scene in a big way as a freshman in 2016, running for 1,057 yards and 8 touchdowns while averaging 6.8 yards per carry. 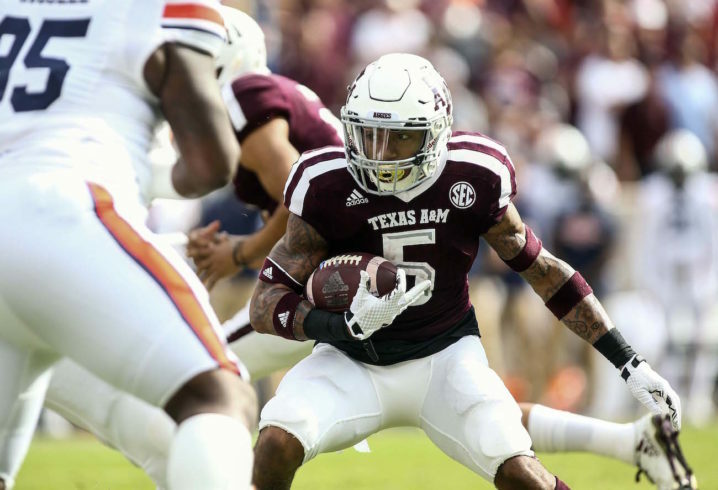 Understandably, that had Texas A&M fans eager to see what he’d do for an encore as a sophomore in 2017, but after a strong performance in Week 1, the injuries hit and he could never regain his 2016 form. He still had a solid year, posting 798 yards and 8 touchdowns, but he didn’t have the same explosion, averaging only 4.6 yards per carry. Now that he’s healthy again, Williams is hoping to show he’s still one of the best backs in the SEC in 2018. If he can stay on the field, new coach Jimbo Fisher’s offense should give him plenty of opportunities to shine. In Fisher’s last four years at Florida State, he had a 1,000-yard rusher every year, and two of those guys — Devonta Freeman and Dalvin Cook — are now key players in the NFL. The other, Cam Akers, could join them in the NFL soon. Fisher runs a pro-style offense, so Williams will have a fullback leading the way for him more often than he did the previous two years. To say that has Williams excited would be an understatement. Still, football is a physical game, but Williams credited new strength coach Jerry Schmidt with having him in peak condition heading into fall practices. "Blocking for Trayveon is the best thing ever. There are a lot of times where he makes us look a lot better than we actually are." Though Williams is looking forward to running behind a fullback, he also knows that the A&M offensive line deserves some credit, too. And the respect goes both ways. Center Erik McCoy, who was also at Media Days, said the offensive line wants to make sure Williams surpasses the 1,000-yard mark this fall. He added that Williams’ big-play ability makes the O-line’s job much easier. As mentioned, Fisher runs a pro-style offense. That also means the Aggies will focus on balance offensively. During his press conference, Fisher stressed the importance of being good at all aspects on offense in a league like the SEC. “You have to be able to run the football,” he said. “If you go back through my history, I believe in balance. You have to establish the running game. You can be in the spread, you can be in four-wides and run it, or you can be in two-tights and run it, but you have to control the line of scrimmage. Williams has yet to play a game in Fisher’s system, but he said the way it works, every player on offense is in a position to succeed. 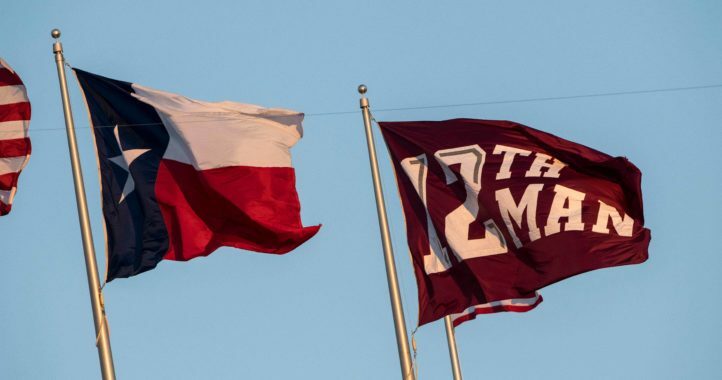 Texas A&M’s rushing offense finished 2017 ranked No. 10 in the SEC, while the passing offense was No. 3 in the conference. 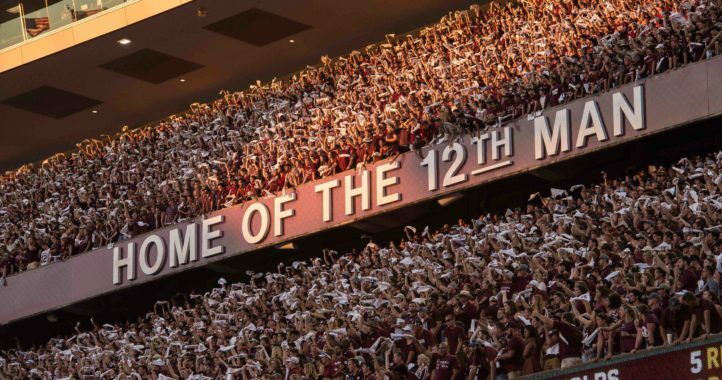 If Williams has a big year, and if the winner of the quarterback battle between Nick Starkel and Kellen Mond can make some explosive plays through the air, the Aggies should finish higher than No. 8 in total offense in 2018. At the very least, Fisher has a very excited running back to work with.